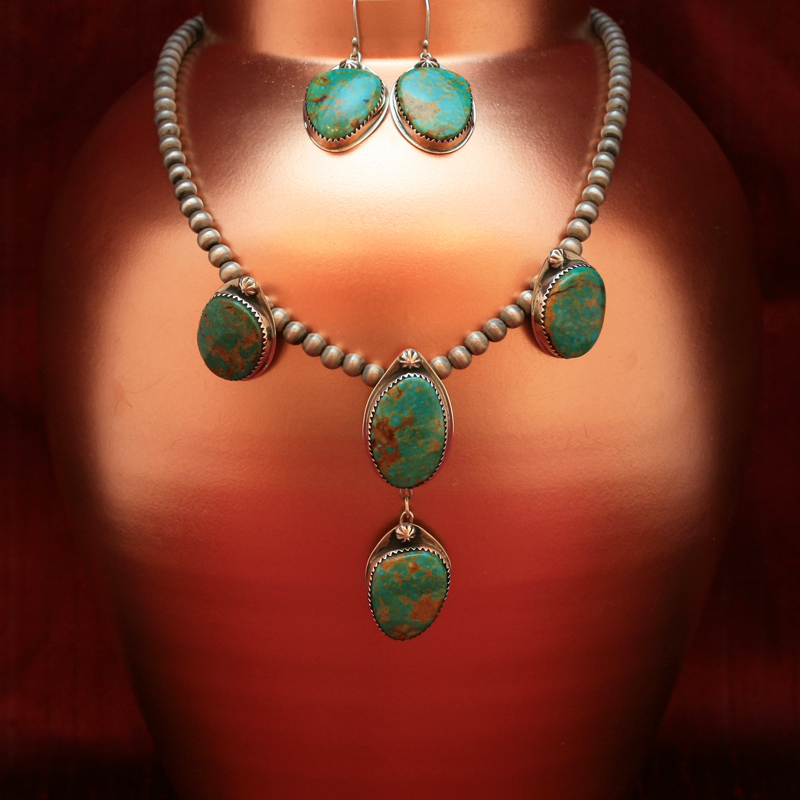 Green Kingman turquoise and sterling silver necklace and earrings handmade by Annalisa Martinez, Taos Pueblo tribe, New Mexico USA. This majestic necklace consists of four beautiful bright green turquoise stones with rich golden matrix each set in sterling silver and crowned with a sterling silver sun. The stone settings are strung into a necklace of textured and oxidised sterling silver beads which Annalisa calls ‘Taos Pueblo pearls’. 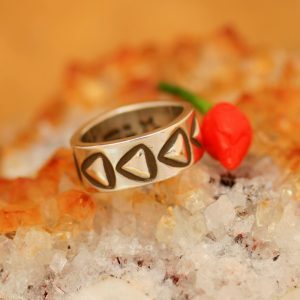 The silver around the stones settings is partially oxidised to complete the timeless look of these distinctively Southwestern pieces. 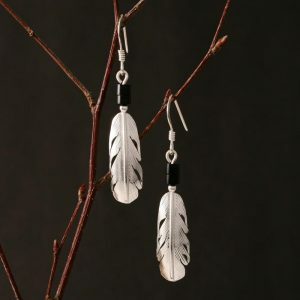 Earrings measure 4cm in overall length including ear wires. Necklace measures 40.5cm, pendant drop measures 6.5cm. Annalisa Martinez is a jeweller from Taos Pueblo. Taos Pueblo is a small Indian village in Northern New Mexico. It is the northern most of the New Mexican Pueblos and was historically a trading place between Plains tribes such as the Comanche and the Puebloan peoples of the Rio Grande Valley. As well as making beautiful and unique pieces of jewellery Annalisa Martinez is a qualified nurse and a talented musician. 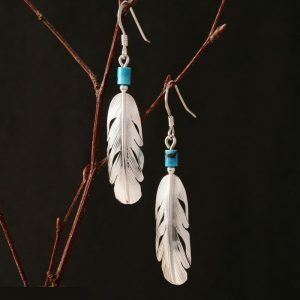 Annalisa Martinez and her husband Joshua Concha, also from Taos Pueblo, have been making beautiful jewellery for Rainmaker Gallery since the 1990’s.